Cuckoo clocks, traditionally manufactured in the Black Forest in Southern Germany, strike the hours with the sound of a common cuckoo's call. Often, a mechanical cuckoo emerges alongside with each note. In Western literature, music, cinema, television, and culture, the Cuckoo Clock is seen as an allegory of childhood and old age alike, of innocence and closeness to nature, or as a metaphor for mental disorder. Apparently, it is more seen as a symbol than an actual timekeeper. 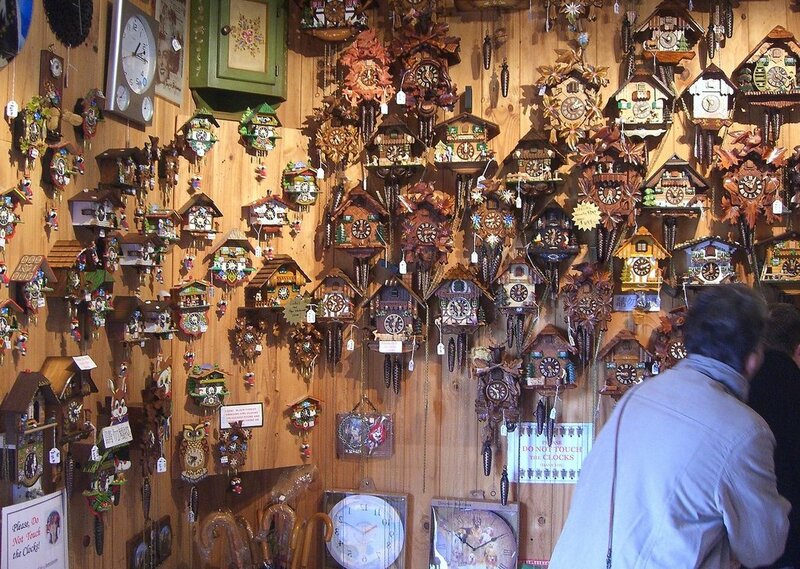 The Cuckoo clock is, was, and will always be one of the most popular souvenirs when traveling to Germany. Comments for "German Cuckoo Clock Factory"
License details for "German Cuckoo Clock Factory"